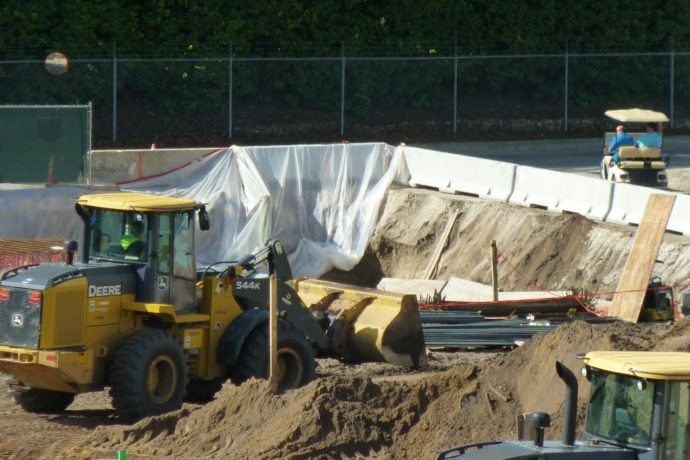 Project 340’s construction continues at Islands of Adventure with the perimeter walls continuing to expand and more foundation being laid. Some new construction photos are below. It was recently announced that Tom Hiddleston will star in the Skull Island film, slated for release in November of 2016. Hiddleston is best known (and beloved by many) for his role as Loki in the Thor films and Avengers. Skull Island will apparently be a prequel, telling the story of King Kong before he is captured and brought to New York. It’s rumored Hiddleston may play someone shipwrecked on the island filled with giant prehistoric beasts. Jordan Vogt-Roberts has been named as director of Skull Island, known for The Kings of Summer, and Max Borenstein is writing. He recently penned the screenplay for Godzilla, also released by Legendary. Legendary and Universal will be releasing the new Skull Island film together, (as well as Jurassic World next year). There has not yet been any official announcement for a King Kong ride at Islands of Adventure, but Diagon Alley at the old Jaws area of Universal Studios Florida wasn’t announced for months into its construction. Only time will tell.